Just like an estate plan deals with events such as the death or disability of the person establishing an estate plan, a Buy Sell Agreement addresses what happens to an ownership interest in a company upon the death or disability of a shareholder/member (hereafter sometimes referred to as the “owner”). Without such an agreement, there is no means for an owner or the estate of an owner to force the purchase of their shares upon the disability/death of the owner. The Buy Sell Agreement often times addresses more than just death or disability of an owner, such as what happens to an owner’s shares/membership interest upon a voluntary or involuntary termination of employment of one of the owners, an involuntary transfer of an ownership interest ordered by a court (such as might occur pursuant to a divorce and bankruptcy proceeding), and retirement. Typically, all such buy sell events require either the business or the other owner(s) to buy the shares or membership interest of the owner impacted by the buy sell event, pursuant to specific purchase price and payment terms. Sometimes the company or the owners will purchase life insurance to help fund a purchase of an ownership interest upon death, and the Buy Sell Agreement will coordinate its terms with that life insurance. For unfunded buy sell events such as disability, it is important that payment terms for the purchase price are addressed in the Buy Sell Agreement and structured to be affordable to the purchaser. The Buy Sell Agreement can and should address issues other than buy sell events. For example, the Buy Sell Agreement can impose supermajority voting requirements to approve significant company actions, such as the company taking on significant debt, the admission of new owners, or the sale of significant assets of the company. A super majority voting provision can help protect the holders of less than a majority of the ownership interests, who could otherwise be outvoted on every issue. If there is a possibility of a deadlock in management decisions, the Buy Sell Agreement can and should also address how to break that deadlock. Even if you have a Buy Sell Agreement, you should review it prior to the admission of a new member/stockholder, and at least every few years, to make sure that its provisions still accomplish your goals. Does the purchase price provision still determine a fair market value price for the shares or membership interest? Will the payment terms be affordable to the buyer? If the business or owners have life insurance to help fund a buyout upon a death, are the provisions of the Buy Sell Agreement which address a death buyout properly coordinated with the life insurance? Are the buy sell provisions set up in manner that places all the parties in the best tax position upon the occurrence of a buy sell event? If your business has multiple owners and you don’t have a Buy Sell Agreement, you should have one prepared. And just like your personal estate plan, you should review your Buy Sell Agreement on a regular basis to make sure it still meets the needs of your company and its owners. 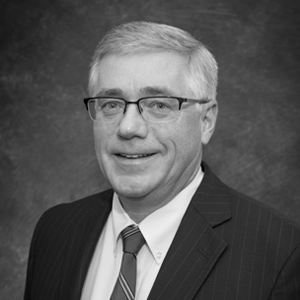 Attorney Dan McGlinn’s practice areas include corporate and business law, mergers & acquisitions, healthcare law, estate planning, probate, succession planning, and governmental law.